From fancy chandelier-clad restaurants, to a tranquil tropical getaway with fresh air and sea breeze, to a modern-chic dining experience atop a skyscraper, there’s bound to be a spot for afternoon tea in Singapore that suits your fancy. 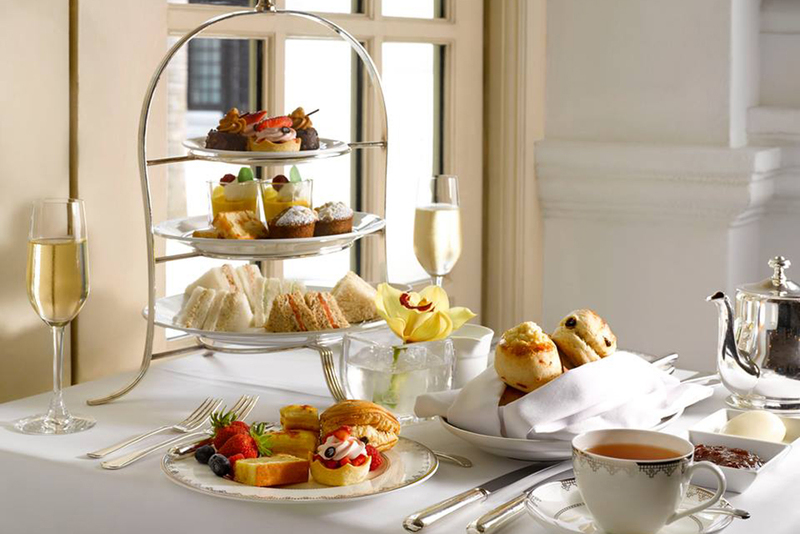 Before you go down on the list, make sure to learn a bit more about afternoon tea etiquette. Located within the fabled Raffles Hotel, Tiffin Room is frequented by locals and tourists alike who want to experience the colonial grandeur of this heritage luxury hotel. Enter the gates of Tiffin Room and be greeted by high ceilings and whitewashed walls, with toque-wearing chefs by the buffet counter and servers waiting to tend to your needs. Apart from the buffet section that offers traditional dim sum bites, Tiffin Room is known for the curry puffs which give the room its name and it also serves up the typical high tea fare of sandwiches and sweets, delicately plated on a three-tiered stand and Complemented by a pot of tea and beautiful tunes from the harpist, the highlight of an afternoon tea session at Tiffin Room is most definitely the luxurious and indulgent ambience. Since the 70’s, Goodwood Park Hotel’s resident cafe, L’espresso has earned a reputation for being the “place for elegant teatime pursuits”. 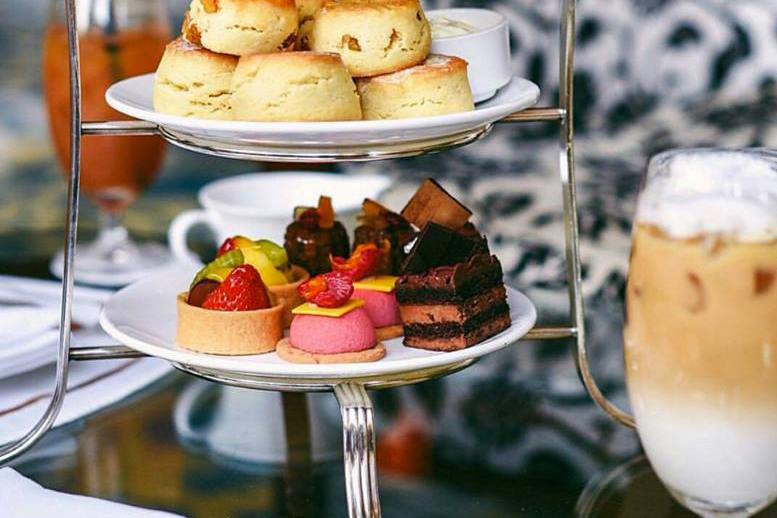 From dainty pastries, finger sandwiches and a chocolate fountain to even a charcuterie selection, their English Afternoon Tea Buffet boasts a diverse spread of sweet and savoury bites. Standout picks include the freshly baked scones and crowd-favourite desserts like the bread and butter pudding with vanilla sauce, crème brûlée, and passionfruit meringue tartlet. 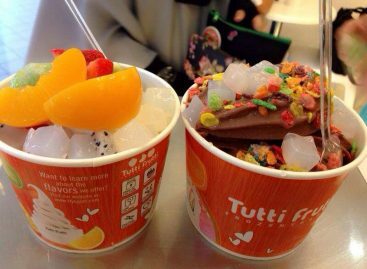 These saccharine treats go perfectly with their premium coffee and TWG tea selection. And if you feel like having a glass of bubbly, they have that too. Arteastiq is an idyllic spot for a quiet afternoon tea in Singapore. Known for its unique concept of merging a boutique tea house and an art jamming studio under one roof, this quiet space offers premium teas and therapeutic painting sessions that brings you a sense of calmness amidst a hectic lifestyle. 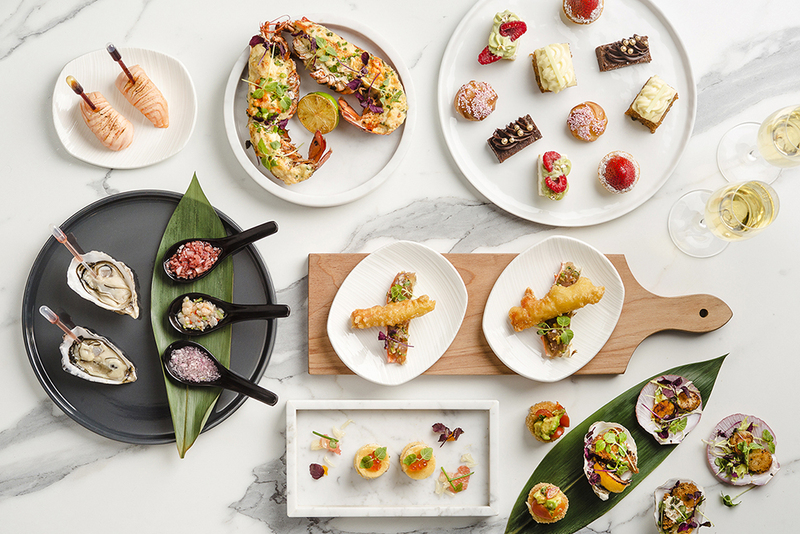 The two-tiered trays of delicious nibbles include macarons, eclairs and tarts, as well as savoury morsels like smoked salmon and cocktail prawns. Served with a pot of premium tea, Arteastiq’s afternoon tea is a delightful affair that’s as elegant and stylish as its decor. Located at the opulent Shangri-La hotel, The Rose Veranda’s afternoon tea buffet features fresh sashimi, Hong Kong-style dim sum, cook-it-yourself laksa, rainbow cakes and more, but the spread isn’t just limited to the food. The tea menu offers a total of 164 premium TWG tea blends to choose from, including the hotel’s namesake Shangri-La Tea. Plus, this is the place to go for a relaxingly long afternoon tea buffet- their hours last from 11.30am all the way to 6pm! This means you can spend more than 6 hours savouring the extensive spread, if you haven’t maxed out your tummy’s capacity by then, that is. 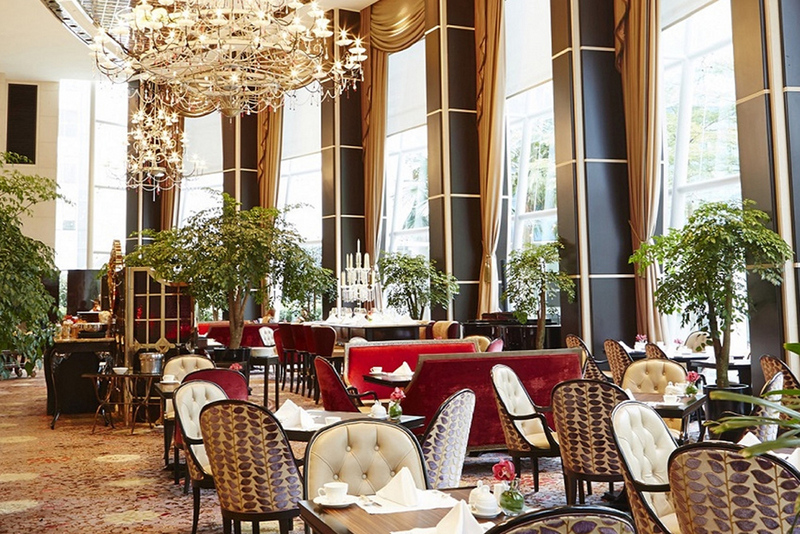 A glitzy location for afternoon tea in Singapore, Brasserie Les Saveurs at The St Regis hotel is decked out in chandeliers and plush couches. In true high-class fashion, guests can enjoy their gourmet meal accompanied by a live piano performance. The Afternoon Tea Experience serves up TWG teas and three tiers of delectable desserts and pastries, alongside a lavish buffet spread that includes an array of European cheeses, smoked salmon and other cold cuts, as well as scones, waffles and crèpes that are prepared à la minute. 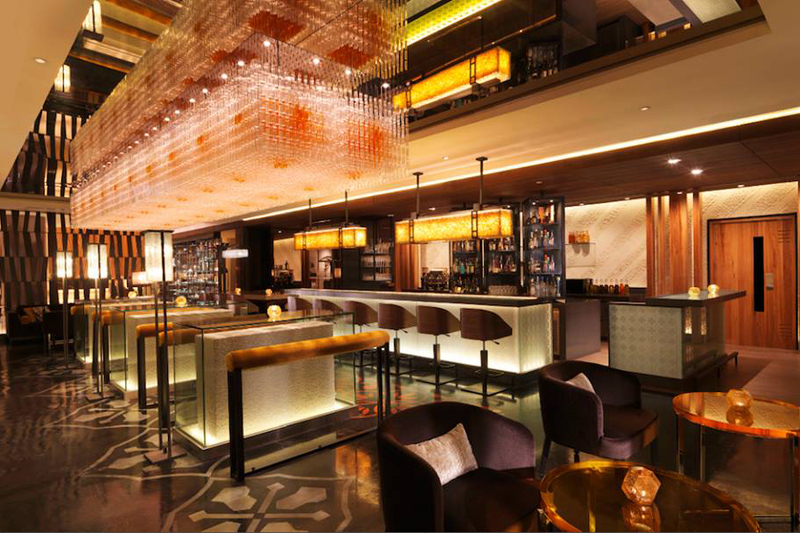 Fairmont Hotel’s well-known cocktail bar, Anti:dote is also a classy location for having afternoon tea in Singapore. Their high tea isn’t just reserved for the ladies of course, but the luxuriously cosy ambience and exquisite treats served in a beautiful jewelry drawer chest makes this the perfect place for a tête-à-tête with girlfriends over tea. 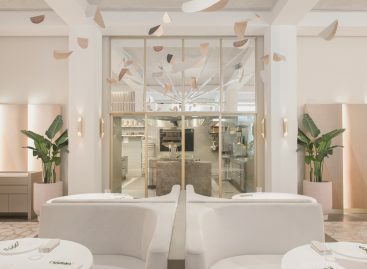 Petite desserts like the strawberry gateau, mini cheesecake and chocolate praline are placed at the top, while other savoury bites such as the confit duck rillette, foie gras terrine and Iberico ham quiche are tucked away in the drawers below. Lastly, the cookies in the last drawer has just the right amount of sweetness that pairs well with their Oriental TWG tea. 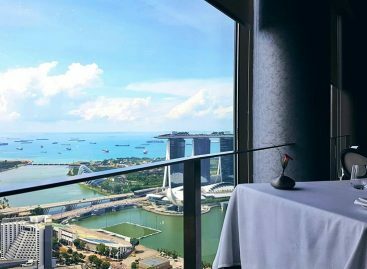 For an afternoon tea in the heart of Orchard with a stunning view 55 floors above ground, you’ll be surprised that prices at Salt Grill & Sky Bar are not that steep. 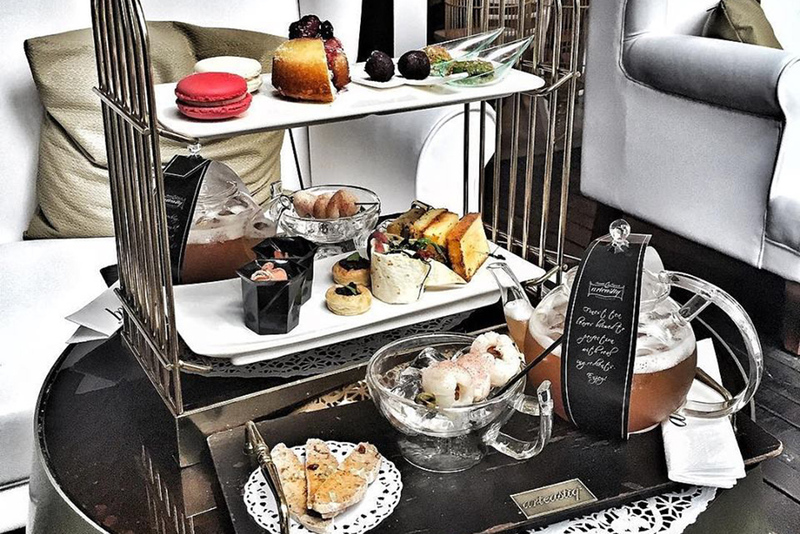 The afternoon tea set is priced at S$30 per person, or an additional S$10 with a glass of champagne. 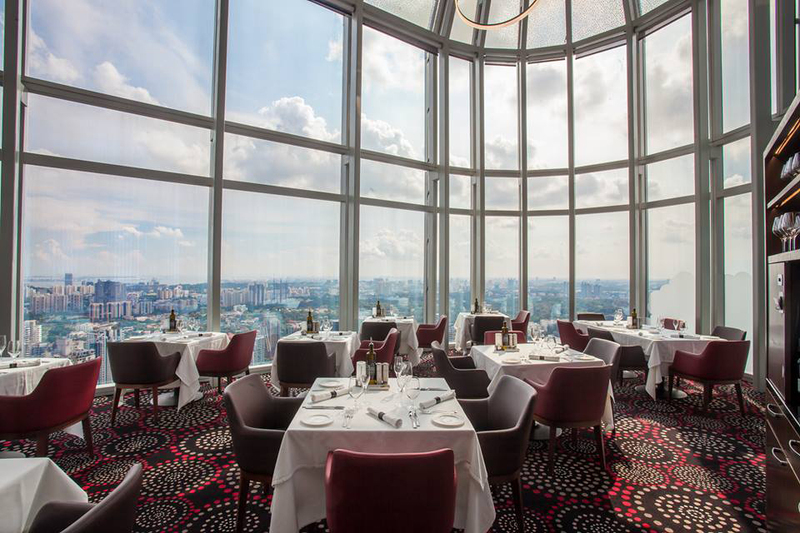 The interior gives off an upscale, modern-chic vibe, with crisp white linen, plush carpets, and floor-to-ceiling glass windows that show off breathtaking views of the city. Equally beautiful is the afternoon tea set plated on a three-tiered silver stand. The smoked salmon, cucumber, chive, crème cheese on rye is a standout, as are the sweet treats like the chocolate & jam lamington. For those days when a regular high tea session won’t suffice, head to Sentosa for a quick getaway of sorts. 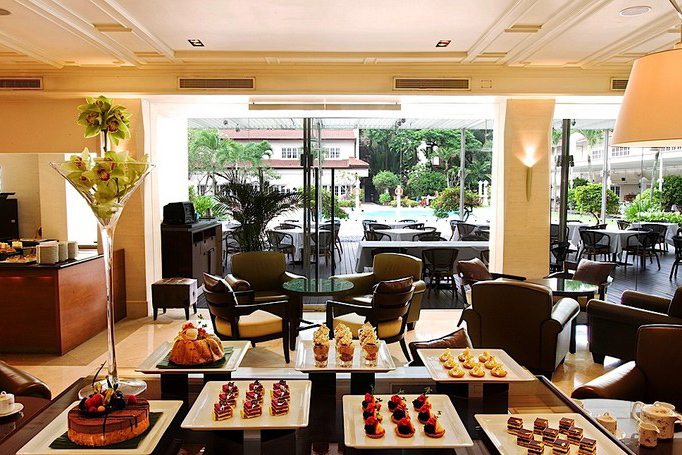 The Knolls at Capella Hotel is a tranquil spot for afternoon tea in Singapore, at a beautiful location overlooking the hotel’s pools and the South China Sea. 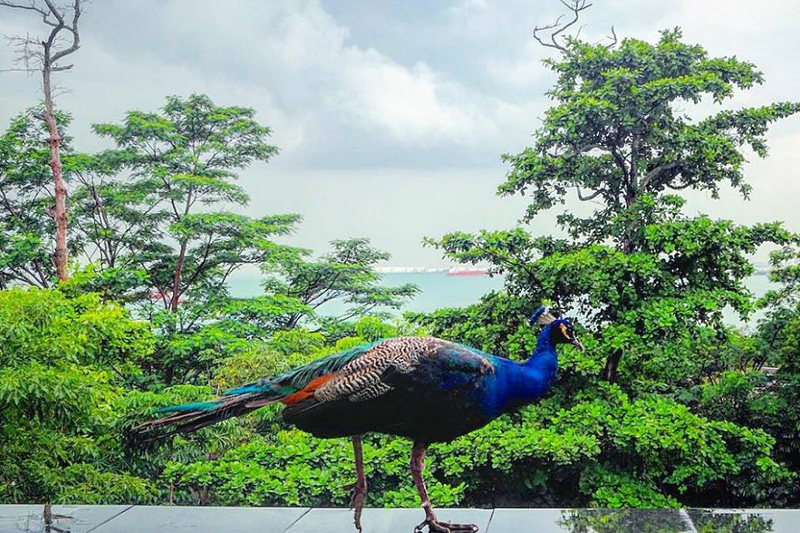 Dine al fresco and you might even be joined by one of Sentosa’s resident peacocks! Now, on to the food. The salmon burrito with olive caviar, cranberry scones, lemon tart meringue and passion fruit tea macaroon are some of the signature picks on the menu of sweet and savoury delights. And choose from a selection of Gryphon teas to sip on, while you relax and take in the view. We loved our stay at the Capella, check out our review! If you fancy a seafood spread for tea, look no further than The Lobby Lounge’s Seafood & Champagne afternoon tea at Westin Singapore. For the price of S$85++ for two, you get an impressive spread that includes highlights like a whole poached Canadian lobster, freshly shucked oysters, soft shell crab, as well as desserts and two glasses of Veuve Clicquot Champagne. The Lobby Lounge, as its name suggests, is located at the Westin’s lobby. At 32 floors above ground, this is Singapore’s highest hotel lobby, boasting views of the iconic Marina Bay area. Snag a plush seat by the window to admire the views while digging into the amazingly value-for-money seafood spread. If you prefer to indulge a little later in the day, check out our tantalising list of supper clubs in Asia!